I've seen so many posts about the goals everyone is setting for 2015. It's got me thinking... All the goals I'm seeing are mediocre goals... Now, don't get me wrong, I have my same set of mediocre goals that I hope to fulfill, such as become more healthy in 2015, exercise at least four times a week, learn a foreign language and many more. But where is the challenge for us? I mean isn't this a new year? 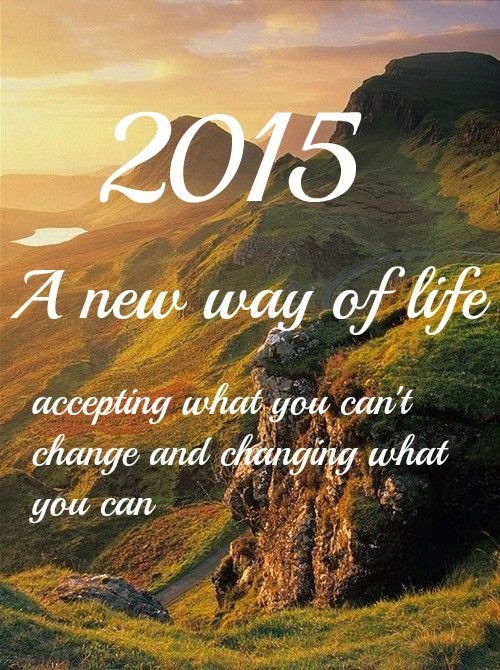 A time for new self refection and new beginnings? Let me start with what's going on within myself. It's about to get all kinds of raw and real over here, so hold on to you britches. Everywhere we look we can see women striving for perfection. To be viewed as "good enough" in everyone's eyes but never being good enough within their own eyes. Perfection is a nasty little monster that seeks out women, trying to break them down layer by layer. I, myself, fight this battle with perfection. I try my hardest to say and do everything in a way of perfection. I can never meet these unobtainable standards I set for myself; therefore, I begin to beat myself up and become depressed... This year I have decided to defeat this monster that haunts me so often. Would you like to know how you can too? The weapon that destroys perfection most efficiently is simply realizing that perfection is a myth... Ladies, IT DOES NOT EXIST! These so called imperfections that we all have are what make you and I so special. They are what keep this world turning. We don't need to strive to have a perfect house, with a perfect family, or being a perfect person so that people will like us. It's simply unattainable and this year I refuse to stress over it. I'm worth more than that and so are you. Now, on to the next major goal for 2015. Every single day I would like to try and make the people I come in to contact with feel special and loved. The way we choose to interact with people can really have an effect on us. You see, it can be as simple as getting off your phone, smiling, and saying hello to the cashier at Target. Even if we've had a crappy day and don't feel like making eye contact with anyone, much less speaking to them. So what?? What we must realize is even if we have had an awful day, making someone feel special and important should put us in a better mood and get us excited! We want to sit back and complain about the way our world is turning out, but so many of us never take the time to try and change it. Love and kindness are the two best ways to see a change spark. You and I have the power add some pep to someone's step, a smile to someone's face, and a sparkle to someone's eyes. All it takes is for us to be a little less self centered and place others before ourselves. So this year I'm going to try my best to spread love to family, friends, and strangers I meet. Maybe you and I could be the spark that ignites a fire of change across the world. I dare you to try it and see. Yes, our mediocre goals and life style changes are very important, but don't stop there... Stop selling yourself short and make changes that will cause you to thrive physically, mentally, and spiritually. In 2015, I challenge you to really push yourself and exceed all your expectations. Be you and change the world! I so love this post... the idea of not really making yourself better, but the world & the people around you better... which ultimately DOES make you better... BAM! You gave me a lesson today! Thank you! I'm glad it spoke to you! This message has been weighing on my heart for a couple of days and I had to get it out. Thank you! I love that quote and your post! I can't wait to see what 2015 has in store for you!